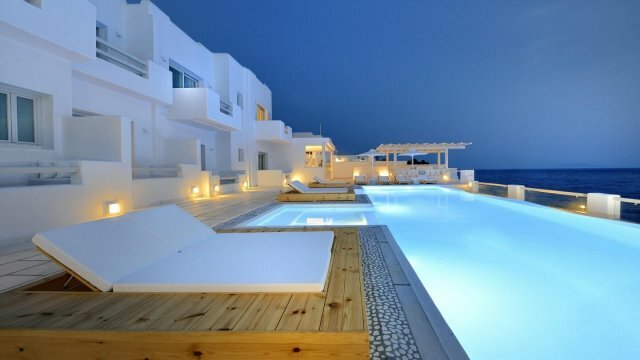 LYO Boutique Hotel manages to capture all the, so called, Mykonos experience in one glimpse. 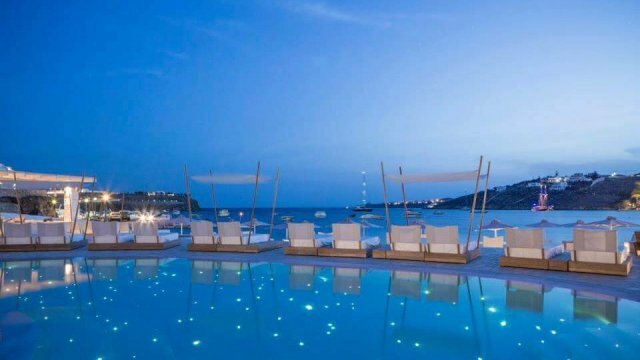 Located above the famous for very good reasons Super Paradise beach, it is proud to declare that is one the very best hotels in Mykonos island. 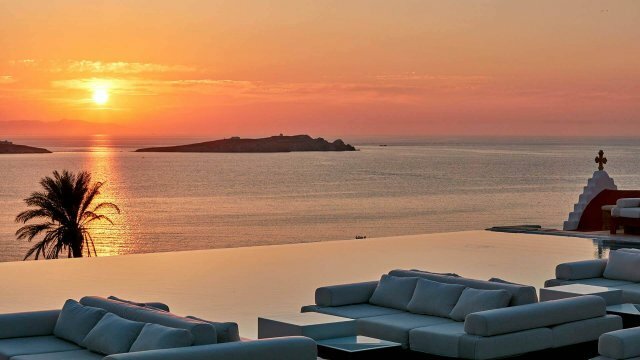 Overlooking the Aegean sea from a higher cliff, this hotel is privileged with the unique location and the magnificent environment that surrounds it. Its internal design indicates awesomeness and style beyond imagination. 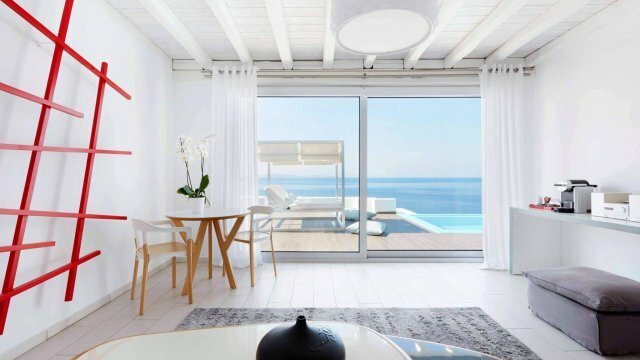 Carefully chosen materials and handpicked, unique, shabby chic furniture will impress even the most difficult taste and the colors, that remind us of the greek summer, will travel you back in time and in lovely memories of the past. 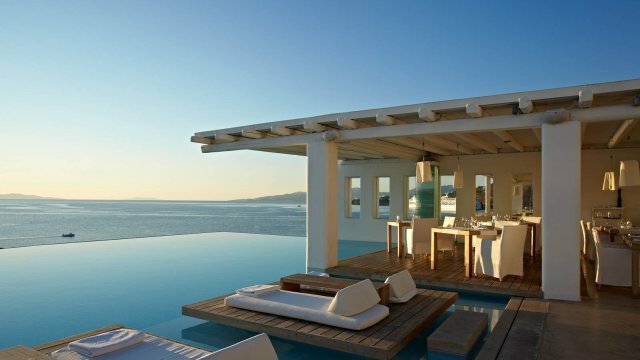 Let your thoughts lost in the eternal blue that lays in front of you and relax on your own private terrace with a book and a smile on your face. Feel completely rejuvenated and free your mind and soul of all the stress and unbearable negative thoughts of our routine in this costume made paradise that fits all the guests. 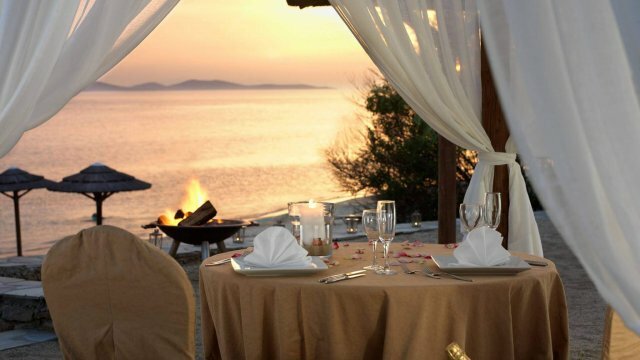 Inhale the salty air of the Aegean and taste the Cycladic delicacies that served with love and passion to the restaurant. 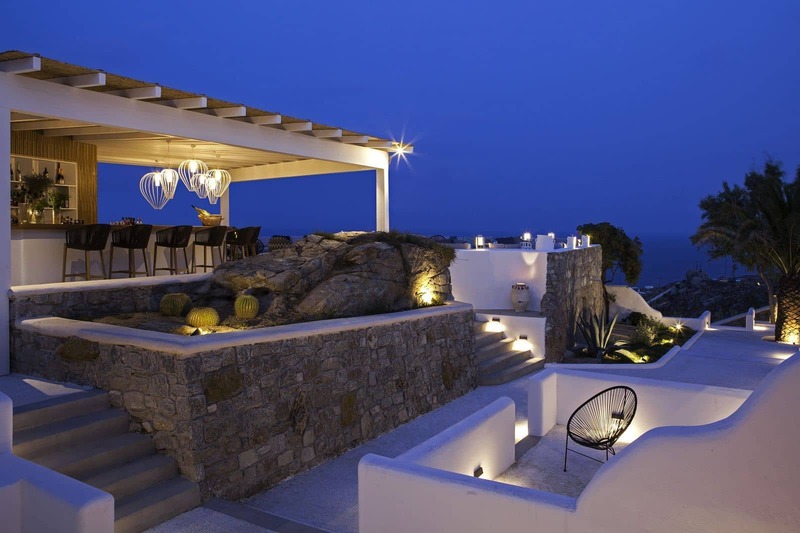 A perfect combination to refill your body with energy and strength and have a total Mykonian experience in your personal super paradise.